In November 1953, six local parents met to discuss the formation of a cooperative nursery school in Lafayette. They were Louise Clark, Sylvia Spencer, Hope Lovelace, Loretta Jennings, and Marilyn and Lester Hink. These parents had a vision for their children, their families and the community. One family’s previous involvement at a cooperative preschool in Berkeley served as a model for them. These families held onto their vision, worked very hard, and overcame many obstacles to see that vision through. Louise Clark served as the first President of the board. The school’s first director, Miss Ester Noland, was hired in June of 1954. Several downtown locations including the present Town Hall as well as the Lafayette Methodist Church served as early locations for the program for 3, 4 and 5-year-old children and their parents. 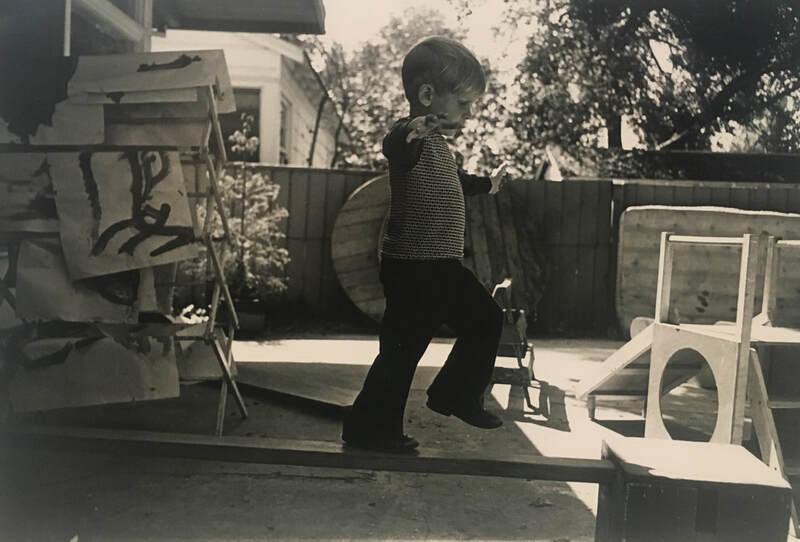 Boy on the Balance Beam at LNS, 1975. The property and building at 979 First Street were purchased for $9,500, in May of 1957. Unfortunately county inspectors examined the wrong building and after re-inspection declared the building to be uninhabitable! So the families raised additional funds($10,000- sounds sooo easy today!) to build a new facility altogether. Johnson Clark served as the architect and builder. Finally, on September 5, 1958, Lafayette Nursery School opened at that location, where it continues to this day. 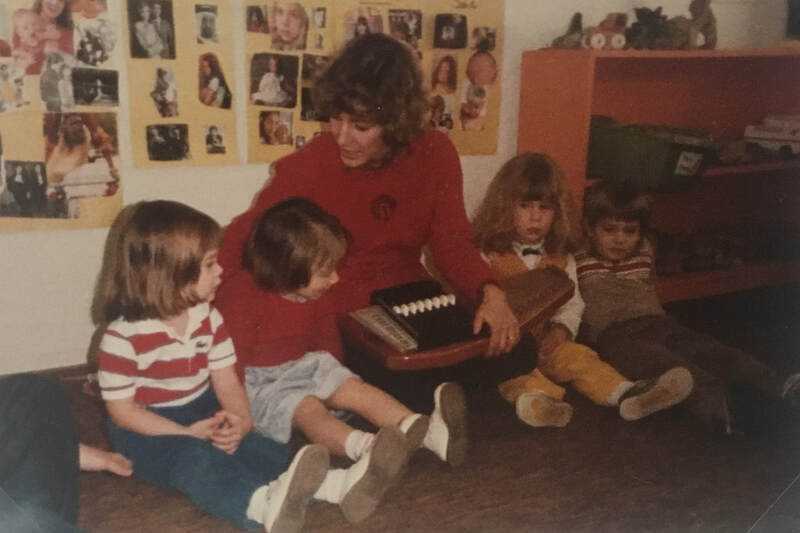 Throughout the following decades, in true cooperative spirit, the school, the children and families continued to thrive in partnership with several outstanding nursery school directors. Each of these early childhood professionals brought to the school various talents and gifts of leadership and of course a deep care and concern for young children and their families. The school has continuously provided parents with excellent opportunities for leadership and many of our parents move on to become involved in various leadership capacities in local school districts and community organizations. Our alumni continue to be a great source of enthusiastic support. Over time the school has adapted and grown to meet the needs of its children. The 1970’s included the acquisition of additional outdoor space from the senior housing neighbors behind our property. Outreach community activities in the form of Community Playschool and the well-regarded Science Day of Discovery became hallmarks of service to local families by Lafayette Nursery School. Deidre Tippett, 3s director. 1981. In more recent years, parents have engaged in extensive renovations of the outdoor play yard, interior upgrades, and exterior facility enhancements. Our program is always being evaluated to ensure that we bring the best in early childhood education to the young children we serve. We currently are enjoying being a part of a downtown neighborhood that is being revitalized. The new Lafayette Library and Learning Center became our very close neighbor in 2009! In 2013 the school celebrated its 60th year of operation with more than 200 alumni and families attending a gala event. 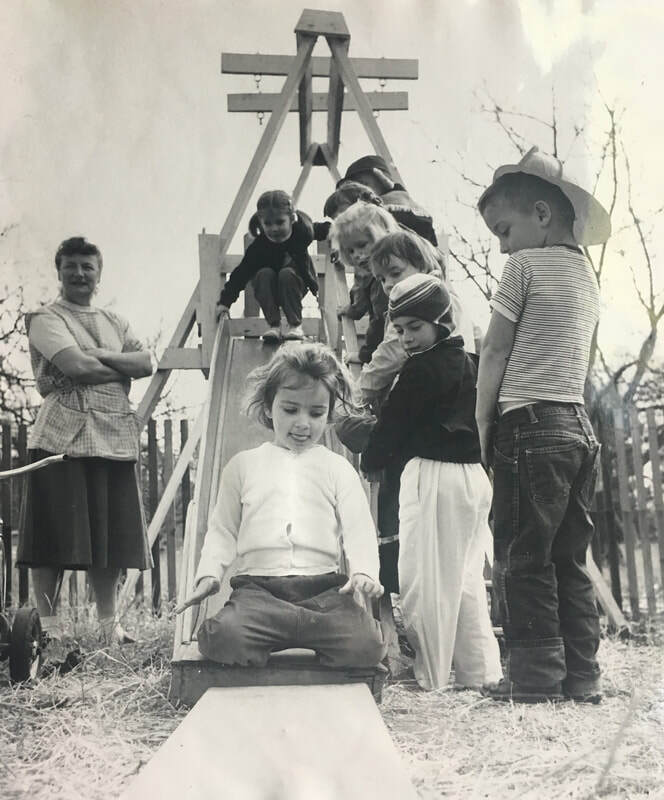 Fifty plus years after a very small group of parents initiated this cooperative effort, Lafayette Nursery School remains an incredibly strong community of families. Although the names and faces have changed through the years, one thing remains constant, the commitment our families have to the cooperative spirit. Our families continue to work, side by side along with our staff providing our children with gifts to last a lifetime.